Thanks to our Sustainers, the Junior League of Hampton Roads has served the Hampton Roads community for 62 years helping wonderful organizations, working together for success, and changing lives. 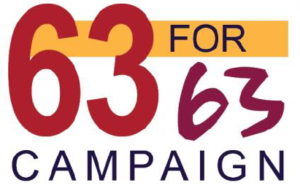 As we enter our 63rd year, and in order to continue the important work that we would like to do and that the community is expecting from the JLHR, gifts from our sustainers are vital. Please take a moment to learn about the three specific areas of need for next year where you can make an impact—and then consider giving at least $21 to each of these areas, or at least $63 in total for any combination of the three! The JLHR remains committed to providing for the needs of local women and children through our program development, community outreach, and volunteer hours. 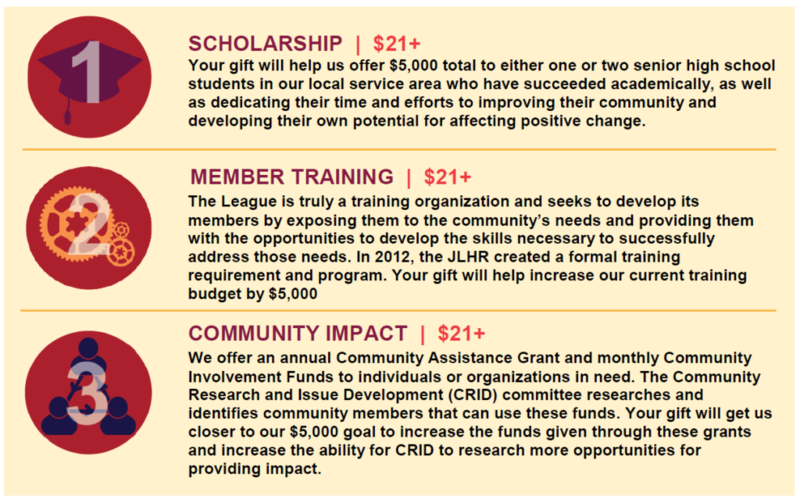 Your generosity will enhance our members’ ability to make a meaningful difference in our community. Thank you for your continued support!